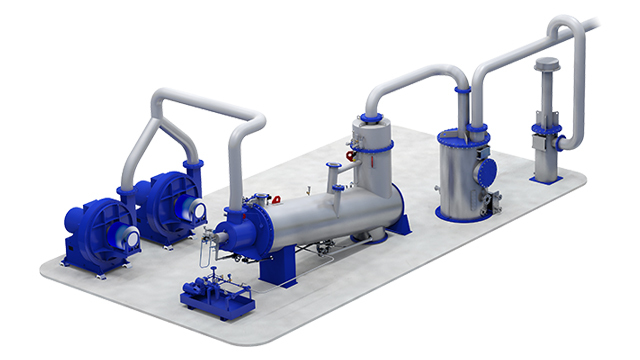 Alfa Laval Smit Combustion is a saturated inert gas generator with low pressure, which produces inert gas by combusting fuel oil with air controlled combustion chamber. Smit inert gas generators are typically found on chemical tankers and product tankers. The inert gas generators produces inert gas by combusting fuel oil with air. Monitored by a specially designed oxygen analyzer and indirectly cooled by seawater, the combustion process is soot-free, thanks to a unique Ultramizing system that ensures complete combustion even in practical-load conditions. In a second stage, after-cooling and sulphur oxide washing are preformed directly in a specially developed spray and cooling system. 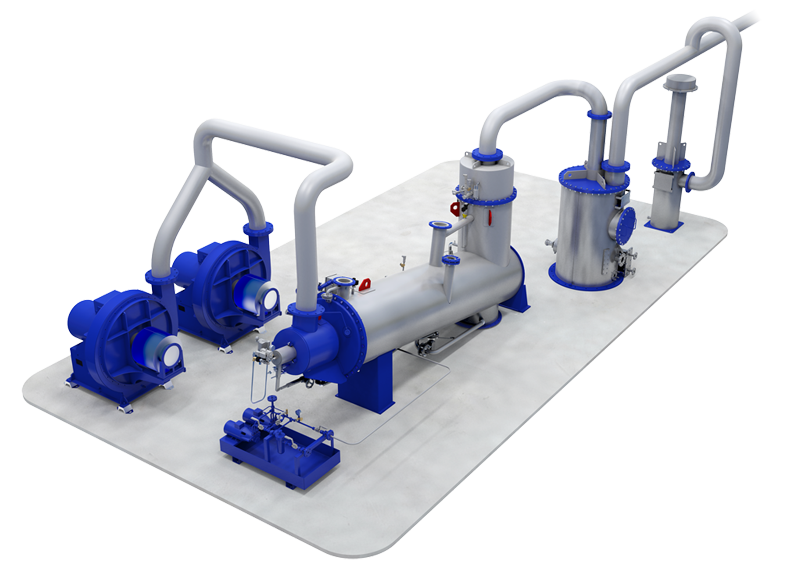 The Alfa Laval Smit Combustion is a combustion-based inert gas system. Fuel oil and air are combusted in the generator to produce hot inert gas with an oxygen content of 2-4%. The combustion process is soot-free thanks to the unique Smit Ultramizing system, which ensures complete combustion even in partial-load conditions down to 25%. In the scrubber section of the generator, the inert gas is directly cooled by a specially developed spray and cooling system, which at the same time washes out the sulphur oxides. The cooled inert gas then flows from the generator to the cargo tank through a deck water seal. This seal is a safety device that continuously prevents any backflow of gas from the cargo tank towards the inert gas system in the engine room. To prevent overpressure or vacuum in the cargo tank, a pressure/vacuum-breaker is installed. Typical scope of supply. The picture represents a standard Inert Gas Generator (FU type) complete with air fans, fuel pumps, deck water seal and P/V breaker. Recommended for installation on: Product tankers, Chemical tankers, FPS.